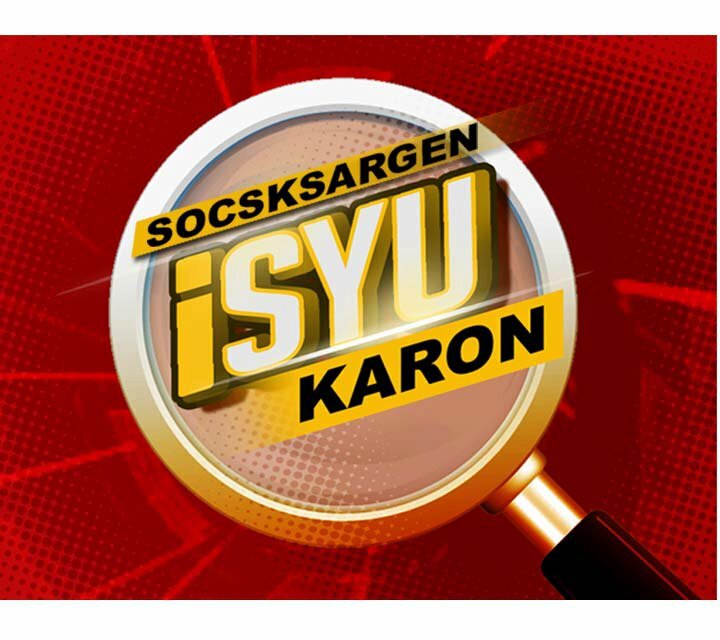 GMA TV 8 General Santos launches ISYU KARON SOCCSKSARGEN, a daily regional magazine program for it's local viewers in the region. The program is featuring extraordinary people, events and happenings around Soccsksargen (South Cotabato, Cotabato Province, Cotabato City, Sultan Kudarat, Sarangani and General Santos City) including tourist destinations, native recipes and as well as technological and medical breakthroughs, forex rates, market prices, and other big news for the day, the program’s campaign material said. ISYU KARON is hosted by ABS-CBN's former reporter Jennifer Solis and Michael Andrew Carbon as reporter and airs daily at 4:55pm on GMA Channel-8.